There has been a lot of talk about employment status following the recent high profile Employment Tribunal decisions concerning Uber drivers and CitySprint cycle couriers. But what actually is an employee, worker and self-employed person and why does it matter? An employee is someone who is employed by an employer under a contract of employment. That employee must perform the work personally, the employer exercises control over the individual (for example, setting their workload) and there is an expectation between the parties that the employer will provide the employee with work and the employee will perform that work. Although outdated for many workplaces, perhaps think about it as a “master and servant” relationship. At the opposite end of the spectrum, a self-employed individual is someone who is carrying on business for their own account. In other words, they may work for others (i.e. their client/customer), but they are essentially providing the services in the course of their own business. Usually, someone who is genuinely self-employed will be engaged to carry out a specific project but left to determine how to fulfil that task, whether to engage others to assist in the delivery and that individual will often receive a fixed price for the work (rather than a daily rate). The final category is that of worker, which falls somewhere between the two. This is someone who is required to perform work personally for the employer but who is not under the same direction as an employee and does not have the same freedoms as a self-employed individual. As to what difference employment status makes, it is mainly about the individual's employment rights and protections. Employees benefit from the full suite of employment law rights and protections. This includes the right to take maternity and other family leave and related pay and the very important right not to be unfairly dismissed after two year’s of service. Workers have more protection than self-employed individuals but less than employees. Workers are entitled, for example, to receive the minimum wage pay rates and holiday pay plus an entitlement to rest breaks (just like employees are too). As for the self-employed, the only real protection that have is a limited right not to be discriminated against. This may perhaps be one of the reasons why many businesses would prefer that individuals are classed as self-employed, rather than as a worker. The stage is set for a dramatic showdown between employers, employer bodies and academics, as a widespread consultation on the future of workers’ rights in the gig economy nears a conclusion. 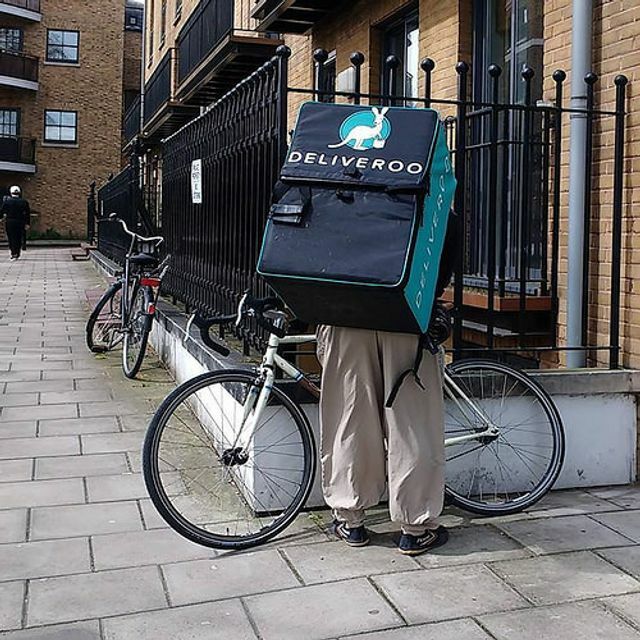 Takeaway delivery company Deliveroo, for instance, told the review it “would not be able to function” without the labour market’s current flexibility: “The value placed on maximum flexibility by the riders and the way our business operates is why we believe that the self-employed contractor status, rather than worker or employee, is appropriate for those working in gig economy companies. Without it, our business – and other gig economy companies – would not be able to attract the numbers of people we require.” It was backed by Uber, which repeated its insistence that its drivers are “free to turn off the app and stop working at any moment”.